The fervour surrounding hobbyist drones has died down a tad of late, particularly as local rules and regulations have restricted when and where owners are able to fly their newly purchased gadget. Despite the hurdles though, a swathe of offerings have entered the market in the past year, and one of the cheaper ones at about R7k is the DJI Spark. 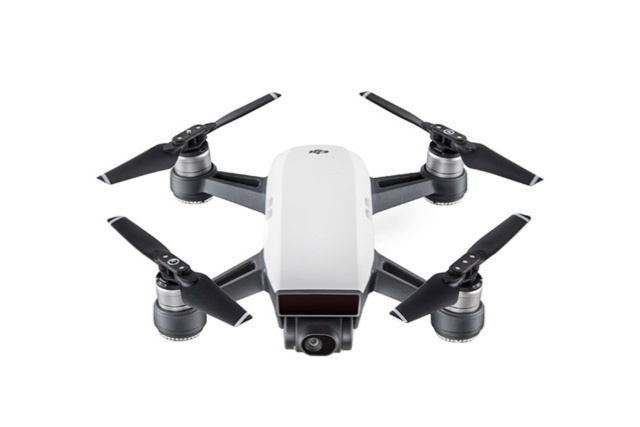 This model is one of three smaller drones that the company has brought to market, with the Mavic Air and Mavic Pro sitting above it. As such, it's the choice that many hobbyists will be directed to should they have an interest, but little experience when it comes to drones. The first thing that strikes you about the Spark is its diminutive dimensions. 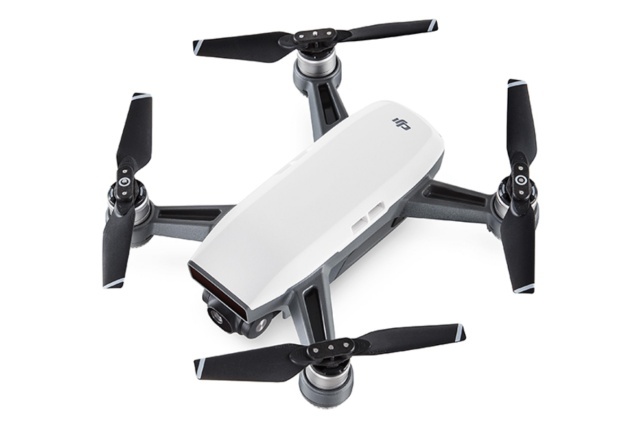 It's nowhere near as small as the palm sized quadcopters you'll find at hobby shops, but certainly a lot slimmer and compact than DJI's previous go-to drones - the Phantom. As such it lends itself well to travel, and can quickly be placed in a backpack for users that want to head off somewhere, fly and shoot in a moment's notice. At 300 g it's also far lighter than the usual quad propeller drones of the past. For users on the lookout for something sleek, the Spark is definitely a worthwhile option. One other distinct advantage that the Spark has over its Phantom predecessors is setup time, with the drone up and flying in a far shorter amount of time. The more compact frame also makes for a more stable flight in my opinion, but if winds do pick up, some stability is lost. Added to this is a relatively quick top speed of up to 50 km/h. I hardly found myself wanting to go that fast, with speed of the video something I could easily adjust or manipulate in the editing process. One advantage that such a top speed does afford is returning the drone to the spot it took off from. This is particularly useful when the battery life nears its end, which will unfortunately happen fairly quickly as the Spark can only muster up to 16 minutes of flight time. As such, users that aim to fly their Spark with regularity will need to invest in a Portable Power Pack, which can charge three batteries simultaneously and up the combined flight time to close to 50 minutes. If there is then one downside to the Spark's compact design, it's the fact that flight time takes a serious dent. As for the actual flying, coming to grips with it takes some time. For those who are unfamiliar with recording drones, keeping one eye on the drone while also trying to ensure that the video (via the DJI Go mobile app) is being captured correctly, can prove difficult at first. Curiously, the more in-view the drone is while operating, the greater 'distraction' it poses when recording video. The result is a steep learning curve while flying the Spark, which means a couple of mishaps, such as hitting objects and shaky video, are part and parcel of the territory. After a few solid hours of flight time are under your belt, however, the Spark proves a nimble and agile drone. When it comes to recording quality, the Spark can muster up to Full HD (1920x1080; 30p) video thanks to its 12 MP camera. It's not necessarily the quality you'll be aiming for if making professional videos, but is more than crisp and clear enough should you wish to emulate the filming style of YouTuber Casey Neistat. While a solid video recorder, I was quite intrigued by the photo taking capabilities of the Spark as well, which is capable of capturing 3968x2976 images. If shooting landscapes or sunsets/sunrises is your thing, then that aspect of the Spark can prove very handy indeed. 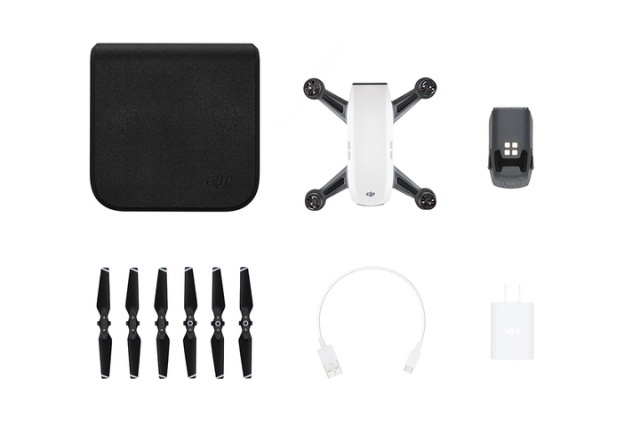 All in all the Spark is a solid drone, with a compact design and relatively low price tag that makes it a good option for adding to one's videography or photography repertoire. If, however, it's your sole device, then it may leave a little to be desired. In particular its short flight time, which will require additional purchases like Power Packs. Perhaps then, a wiser choice in the long run for whose taking their drone flying seriously will be the more expensive Mavic Air or Mavic Pro, both of which sport better specifications across the board. 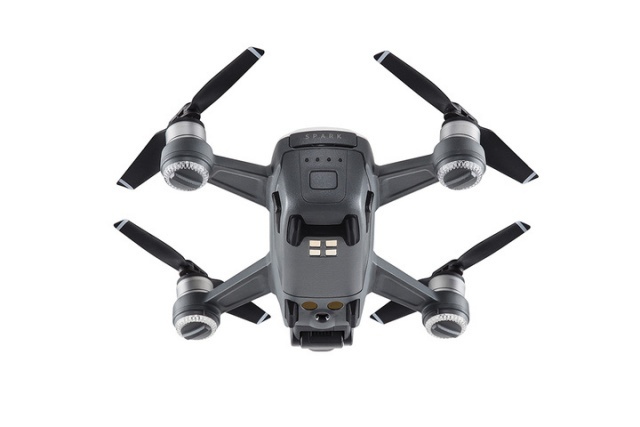 The DJI Spark can be purchased from The Gadget Shop here.